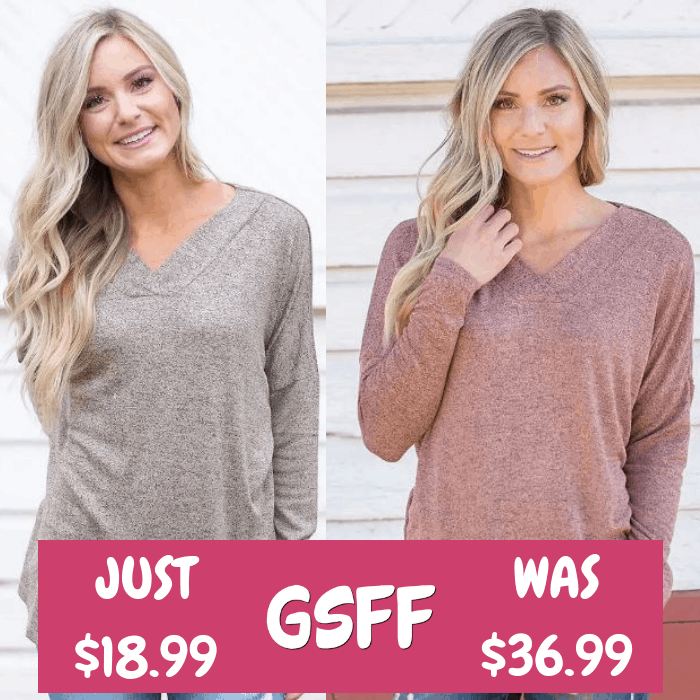 Heathered V-Neck Sweater Just $18.99! Down From $37! Shipped! You are here: Home / Great Deals / Heathered V-Neck Sweater Just $18.99! Down From $37! Shipped! Score this Heathered V-Neck Sweater at Jane for just $18.99 down from $36.99 PLUS FREE shipping! Soft and cozy and perfect for fall! Snuggle up by the fire or head out on the town in our perfect Heathered V-Neck Sweater. It features long sleeves, a v-neck, and incredibly soft material. Pair it with your favorite pair of leggings for ultimate comfort or your favorite pair of distressed jeans and booties. At this price, snag one in every color!